A nuptial agreement is simply an agreement between couples stating what will happen if the parties separate or divorce. This agreement can be entered either before the marriage or anytime during the marriage. A nuptial agreement entered before the marriage is known as a prenuptial (or ante-nuptial) agreement (commonly referred to as a “prenup”) and a nuptial agreement entered during the marriage is called a postnuptial agreement (commonly referred to as a “postnup”). Usually, prenuptial agreements and postnuptial agreements tend to be fairly similar in scope. Both types of agreements tend to focus on the ancillary issues during a divorce, such as custody, care and control of children, division of matrimonial asssets and maintenance. Do note that there are also other types of legal documents that relate to divorce proceedings in Singapore, such as Deeds of Separation. Who can make Prenuptial and Postnuptial Agreements? Anyone can make a nuptial agreement. Whether it will be recognized and enforced in a Singapore Court is another question altogether. Nuptial agreements have contractual undertones, subject to certain safeguards and exceptions. In order for nuptial agreements to even be reocognized in Singapore, they must satisfy a few legal requirements to be legally valid in Court. Generally, the legal requirements for a contract to be valid are: Valid offer and acceptance, consideration, intention to create legal relations and the capacity to contract. Alternatively, the agreement can also be done by deed. Generally, the terms of the agreement should also be as far as possible be in line with the provisions of the Women’s Charter. This is because, during divorce proceedings, the Singapore Courts are still required to follow the Women’s Charter despite the nuptial agreement. If the agreement is in line with the Women’s Charter, the Court would be more likely to follow the agreement. While nuptial agreements can be done without lawyers, it’s wise to have the agreement drawn up or at least vetted by lawyers to ensure the highest possible chances of the agreement being enforced by a Singapore Court. What are the Pros and Cons of Prenuptial and Postnuptial agreements? As with most decisions in life, there are pros and cons. Nuptial agreements are no different. It is important to consider both the pros and cons before deciding if such agreements are right for you and your partner. Are Prenuptial and Postnuptial Agreements Enforceable in Singapore? There is no simple yes or no answer to this question. A short answer would be yes, they are somewhat enforceable but subject to the Women’s Charter. As a start, it is important to remember that Singapore law does not treat pre or-post nuptial agreements as automatically binding. This means that not all prenuptial agreements will necessarily be upheld and enforced upon the parties. In TQ v TR and Another Appeal  2 SLR(R) 961, the Court of Appeal held that prenuptial agreements fell within the scope of the Women’s Charter but emphasized that these agreements were but one of the factors the Court would have to consider. As the agreement is not automatically binding, parties will still have to go through the usual Court process with regards the division of assets, custody and children. When will Nuptial Agreements be Enforceable in Singapore? To decide if the agreement will be enforced, the Court will examine the agreement together with the provisions of the Women’s Charter to determine to what extent are the terms of the agreement enforceable. It should be noted that Section 112(2)(e) of the Women’s Charter specifically provides the Court has to take into account “any agreement between the parties with respect to the ownership and division of the matrimonial assets made in contemplation of divorce” when making a decision to divide assets. However, nuptial agreements are just one of the factors that the Court will take into account. In addition, the Court will also have to consider if the terms are “just and equitable”. Notwithstanding, the Court can still accord significant weight to the terms of the prenuptial agreement if the factual situation demands it. In relation to issues of custody, care and control, and access to children, the starting point is that nuptial agreements are unlikely to be enforced. The children’s welfare is of paramount importance and the Court will not uphold any nuptial agreements that runs contrary to the welfare of the children. A (Husband) and B (Wife) both signed a nuptial agreement that says the property which the family stays in will belong to A when there is a divorce and B and the children will have to move out and find their own place to live. Under Section 112 of the Women’s Charter, the Court has the power to divide matrimonial assets of the parties in a just and equitable manner with reference to prescribed circumstances. One of the prescribed circumstances is the “needs of the children (if any) of the marriage”. Assuming that the property is near the school of the children and it would be too expensive for B to find a similar property. The Court may find that the agreement is unenforceable as it does not cater to the “needs of the children” and it would not be just and equitable for the children and B to move out and find their own place to live. The Court may instead make an order that B and the children be allowed to stay. In contrast, if the agreement between A and B states that the children will get to stay in the property until they are no longer of school going age, the Court may be more likely to follow the agreement as it would be “just and equitable”. Please note that this is a simple example that only considers one of the prescribed circumstances in section 112 of the Women’s Charter. The Court will have to look at all the circumstances before making the decision. 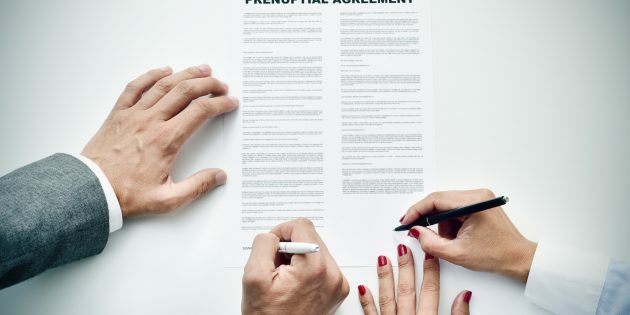 In short, prenuptial and postnuptial agreements are only enforceable if the Singapore Courts decides that the terms of the agreement are “fair and equitable” considering the provisions of the Women’s Charter. If the Court finds that the terms are unfair and inequitable to either party or the children, the Court has the power to deviate from the agreed terms. This means, that at the end of the day the Court still has the final say. The Women’s Charter does not make specific references to pre or postnuptial agreements. However, it does allow the Court to consider agreements made between parties. Section 116 and Section 129 of the Women’s Charter provide for agreements to be considered relating to maintenance and custody of children. In addition, section 112(2)(e) of the Women’s Charter also provides that any agreement with regards to ownership and division of matrimonial assets may be considered if it is made in contemplation of a divorce. The question to be asked here is whether the agreement as referred to in the Women’s Charter refers to pre or postnuptial agreements. As it is not stated explicitly, it would be wise to be cautious and seek legal advice as to whether the agreement will be considered at all. However, it is arguable that postnuptial agreements may be given a little more weight than prenuptial agreements as they are created after the marriage when the parties have had more time to contemplate possible issues. When will Nuptial Agreements not be Enforceable in Singapore? An agreement which contravenes any express provision or legislative policy embodied within the Women’s Charter will not be enforced. An agreement that allow a spouse to negate a marriage and its legal obligations as against public policy and unenforceable. In addition, the agreement will also be subject to standard contract law doctrines such as misrepresentation, mistake, undue influence, duress, unconscionability as well as illegality and public policy. If any of the above are present in the circumstance surrounding the agreement, the Court may set aside or cancel the agreement. Are Nuptial Agreements made in Other Countries Enforceable in Singapore? Yes, agreements made in other countries may be enforceable in Singapore. However, the enforceability will depend on the circumstances surrounding the agreement. In the case of TQ v TR  SGCA 6, a Dutch husband and Swedish wife made a pre-nuptial agreement in the Netherlands and later moved to and commenced divorce proceedings in Singapore. The Singapore Court of Appeal decided that the local Courts “should give significant (even critical) weight” to the terms of the agreement which is governed by and valid according to foreign law, unless its terms violate the public policy in Singapore. 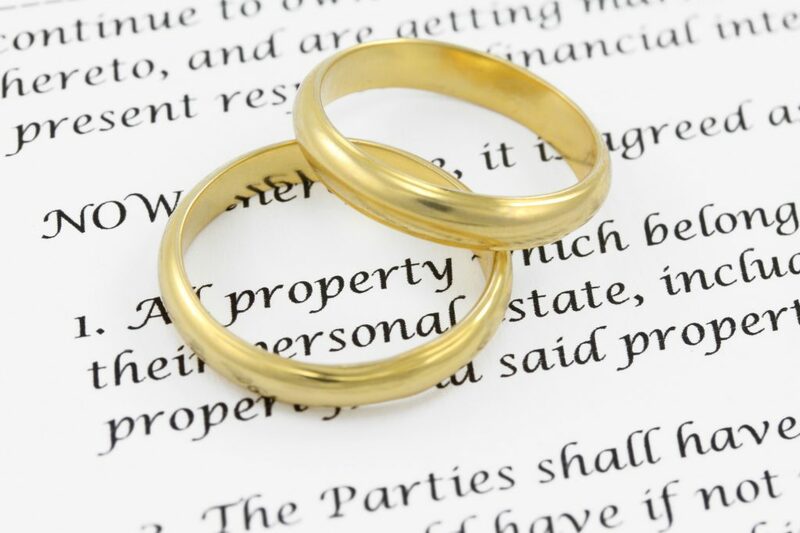 What do Parties usually Include in Prenuptial and Postnuptial Agreements? When entering into a nuptial agreement with your spouse, parties are free to decide what they would like to include into the agreement. Nuptial agreements commonly state exactly how assets are to be divided between the parties. However, they can also include provisions for maintenance or even arrangements for children. Here are some issues which the agreement can cover. As the law is different in different countries, each country treats prenuptial and postnuptial agreements differently. Malaysia does not formally recognise pre or postnuptial agreements. However, the Malaysian Courts may take such agreements into consideration if they do not contradict the law governing divorce in Malaysia. Both pre and postnuptial agreements are enforceable in New Zealand as long as they are validly executed and enforcing it would not cause “serious injustice”. In England, such agreements are not automatically binding. However, the Courts would be more likely to follow the terms of such agreements if the terms are not unfair. It is worth noting that the law might change in the near future as there has been formal suggestions to the government that such agreements be formalized and recognized. Pre and postnuptial agreements are recognized and enforceable. Pre and postnuptial agreements are enforceable as long as it complies with the statutory and common law requirements. Can a Nuptial Agreement be Amended? As with any contract, changes can be made to the agreement. One way a change can be made is through the consent of both parties to the agreement. 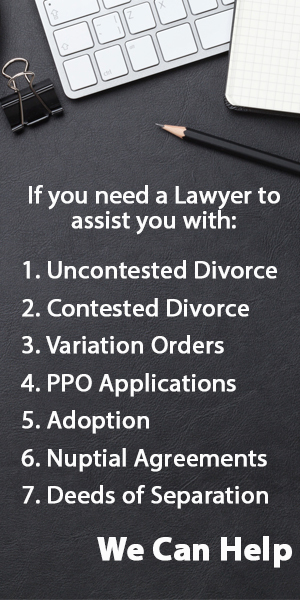 Hire us to Draft your Prenuptial or Postnuptial Agreement. We answer all your queries within 24 hours.